What Should You Ask Your Roofer Before Scheduling a Roof Replacement? What will the full procedure entail? Before going into a contract, make sure you know all about the roof replacement process and its schedule. That way you can make an informed decision about establishing your own schedule and possibly even helping out with the work. Do you expect any complications? This is a question that should always be asked, since the roof replacement job can get complicated pretty fast. Your roof might need decking repair after the old roof is scraped off, and changing weather can also slow things down considerably. How much should I expect to pay? After getting the outline of the project you should also get an estimate – a written one. Make sure the bottom line is clear in the end, and you know as exactly as possible how much you’ll be expected to pay, after all the work is completed. 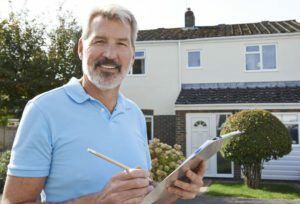 By just asking a few simple questions you’ll find that your friendly local Dallas roofing contractor is happy to advise or inform you regarding every aspect of the operation. Then all that remains to be done is to schedule a date and prepare for the roofers to finally arrive.